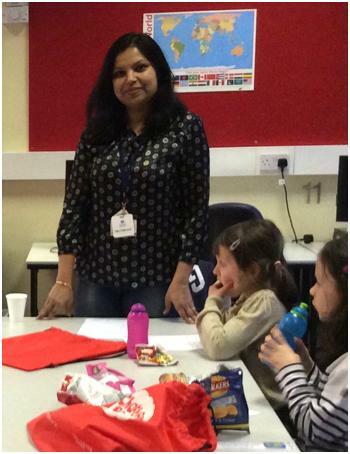 The Chatterbooks session on Monday 9 March was both a happy and a sad occasion as it was the last one led by Babita Sinha. Babita is leaving at the end of March and has led Chatterbooks here at Brompton for five years and before that at Chelsea for three years. She has a devoted following of children who will be very sad to see her go. However, she went out in style with a (slightly premature) Shakespeare Week event which had the kids searching the children’s area for Shakespearean clues, followed by word searches and other quizzes and some readings from the bard. All this was helped along with some naughty nibbles to mark Babita’s last session. So, Babita is leaving (Boo-hoo!) but Katie Collis will be taking over (Hurrah!) in May.